The American women played beautifully, but the Japanese brought an aggressive, focused, and spirited game that made history. Congrats Japan! Okay, training update: I think I will do one every Sunday just to hold myself accountable. I already told you about Monday’s bad run. I also confess I didn’t do Wednesday’s run at all. 😦 I was actually looking forward to getting back out there, but after being awake from 3 – 5:30 a.m. for NO REASON AT ALL, I gave up and reset my alarm. BUT, Tuesday’s yoga and Thursday’s weight session were good and Saturday I had a great 3 1/2 mile run (albeit on a treadmill). This morning I did some strength training, but mostly just stretched. Going from almost never working out to 5-6 times a week has done a number on my body and I’ve been pretty sore. Go figure! Now, about the two projects I was hoping to finish … I’m 1 for 2. I finished the smaller project – a simple task of building a shelf. 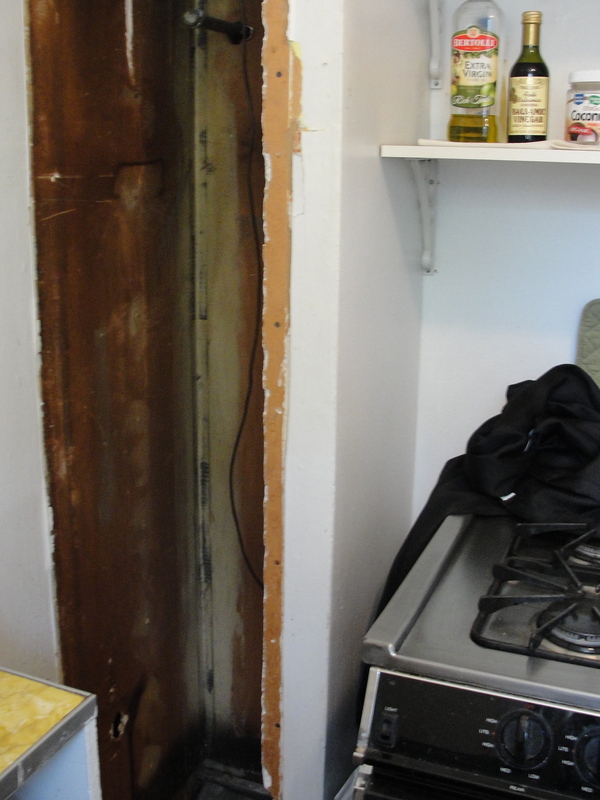 About six months ago, our landlord ripped out our water heater, and left a gaping hole in our kitchen. I was actually pretty thrilled. 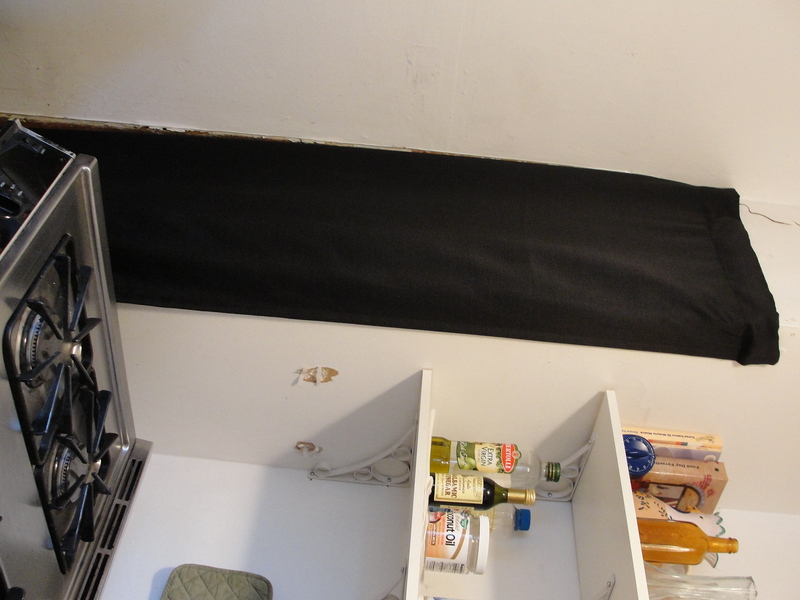 When you live in a 400 square foot apartment with only one closet, any extra space is welcome – even if it’s ugly. And ugly it was, but not all that usable. 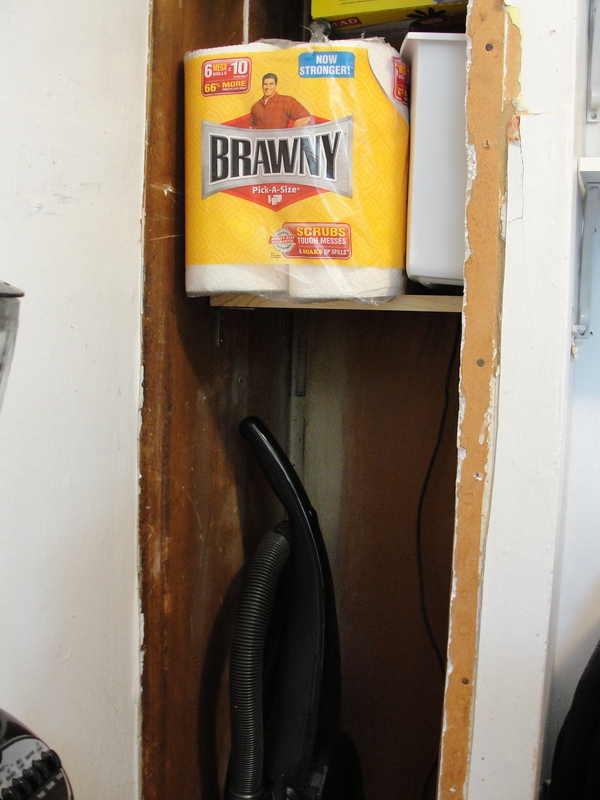 But now … with this fancy new shelf, we can keep our vacuum in the bottom of the closet and extra paper towels and trash bags above! Fascinating, right?! And, with a curtain, nobody’s the wiser. Except the whole internet. Pay no attention to the anchors poking through the wall. (Oops) I’ll patch it. So, there you have it. The ugliest part of our apartment. 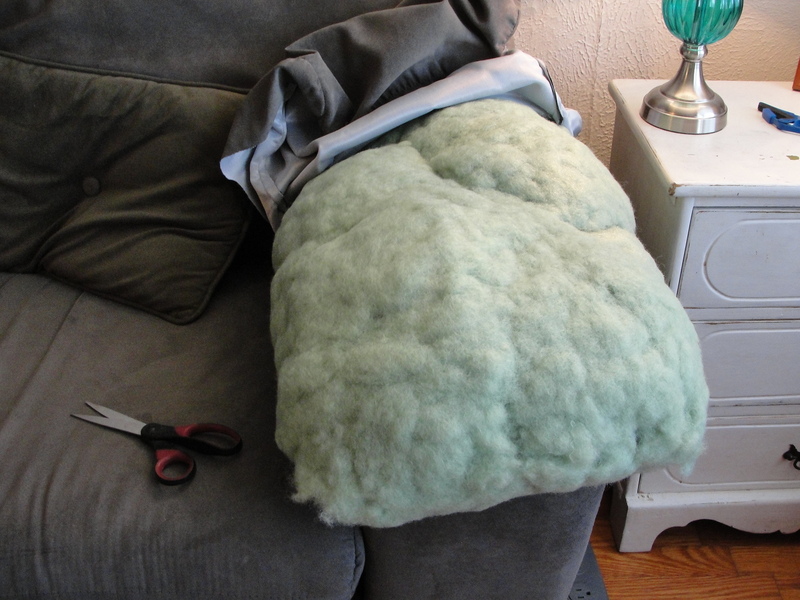 But now much more functional, and I won’t end up cursing every time I go to get the vacuum and have to pull a bunch of junk off of it first.